As well as a love for cocktails (we don’t understand anyone who doesn’t!!) we take coffee very seriously. Using a coffee blend that is roasted and devoted for perfection. Just like our VW Mobile Coffee Bar. 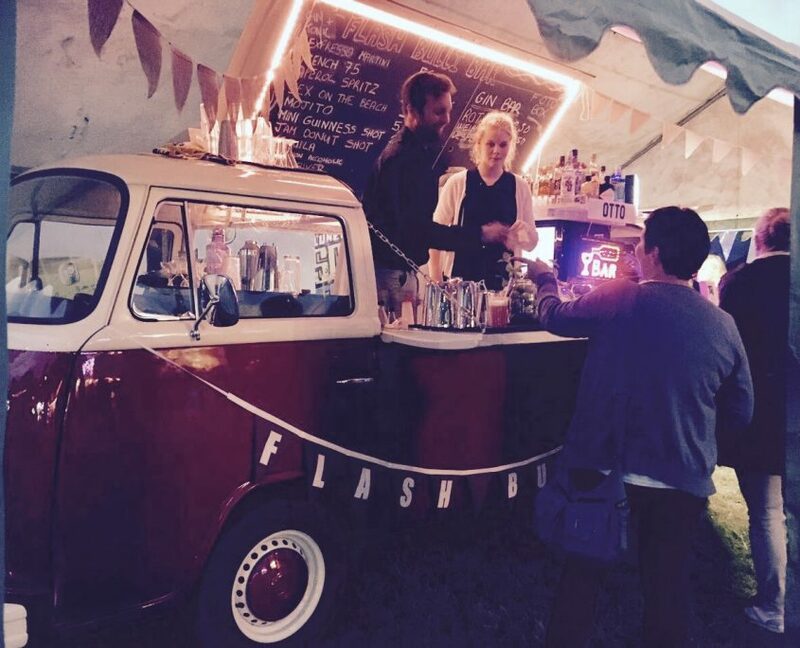 Our Volkswagen Bar can provide coffee, tea and hot beverage service at any event, including exhibition stands. Flash Bulli Bar employs only the most highly skilled professional baristas, trained to produce exceptional quality coffee at high volume with exemplary customer service. Our baristas come professionally attired in black collared shirts, black trousers and shoes, but can wear any uniform required. The coffee bar can be very popular, and increasingly we find people are prepared to wait for our coffee – a captive audience your communications team can utilise. If one barista makes 500 coffees a day and each client queues for 5 to 10 minutes – that can lead to more than 80 hours on stand per day of quality contact time to be utilised. Rent this Volkswagen drink truck for your next indoor or outdoor party. The VW Bar can be pre stocked with cocktails, beers, long drinks, coffee or champagnes or alternatively left empty for you to stock accordingly as a dry hire.